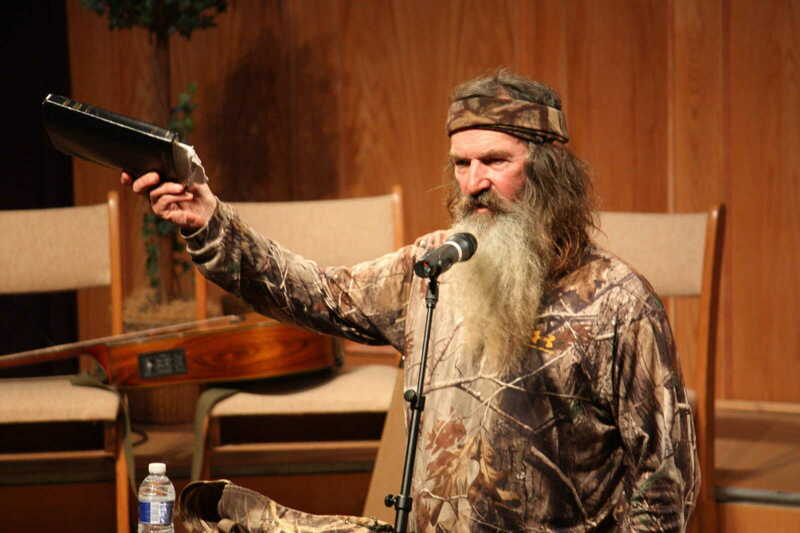 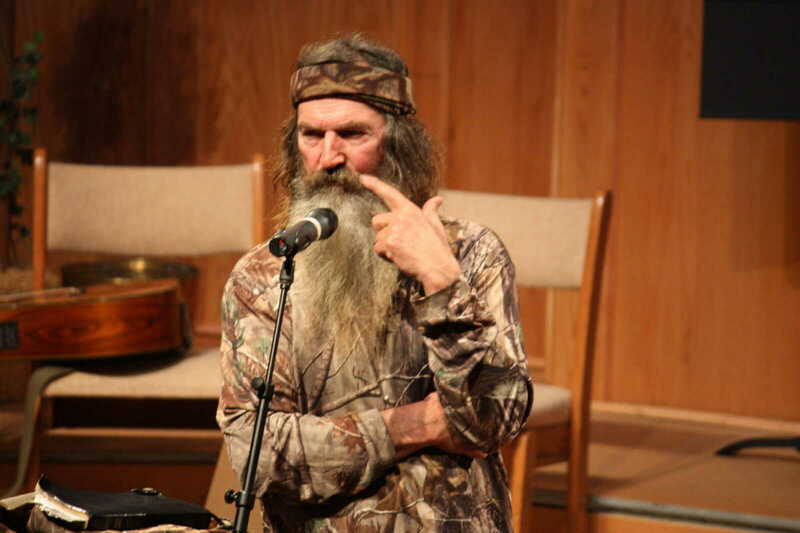 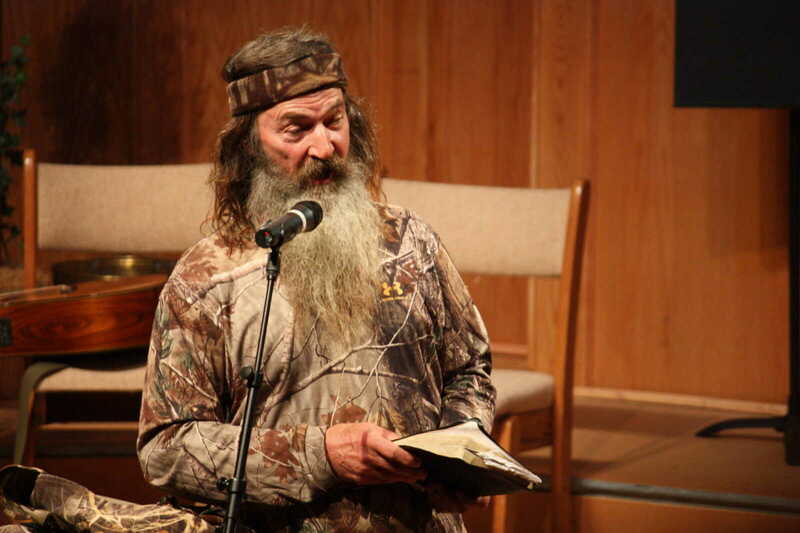 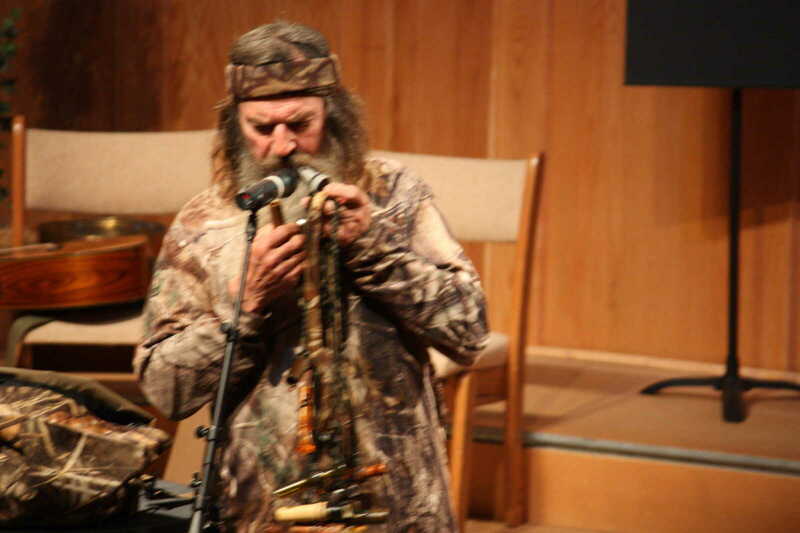 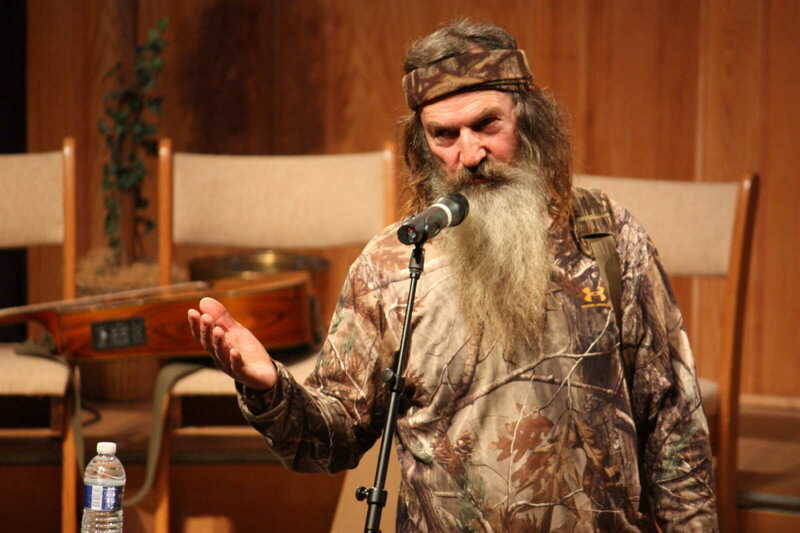 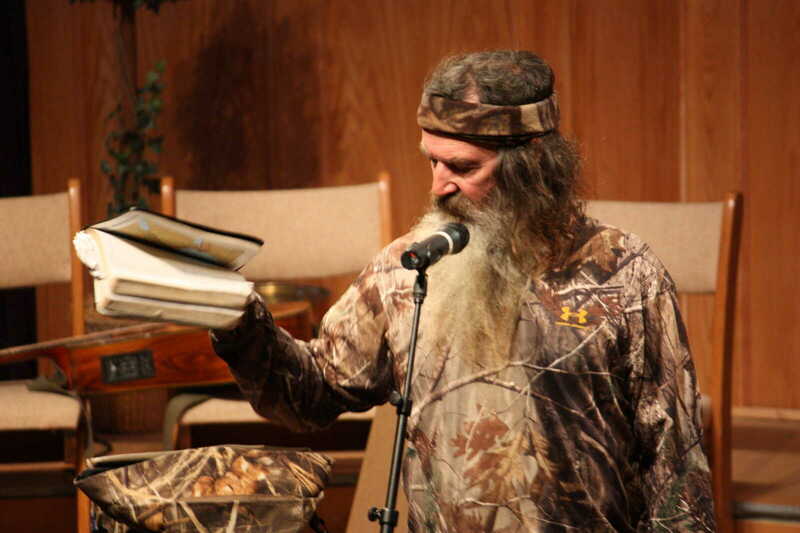 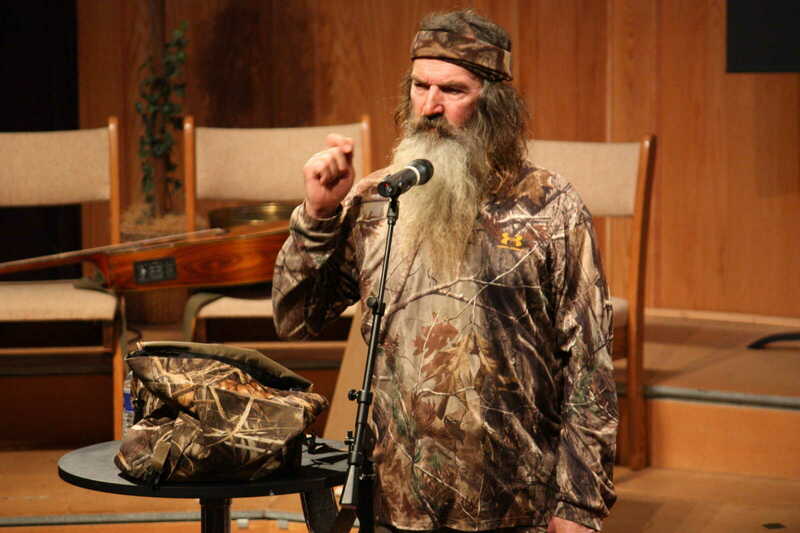 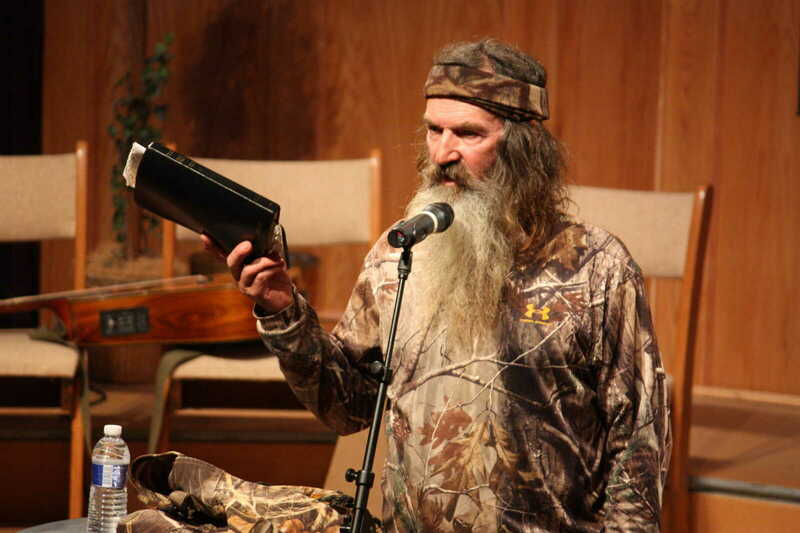 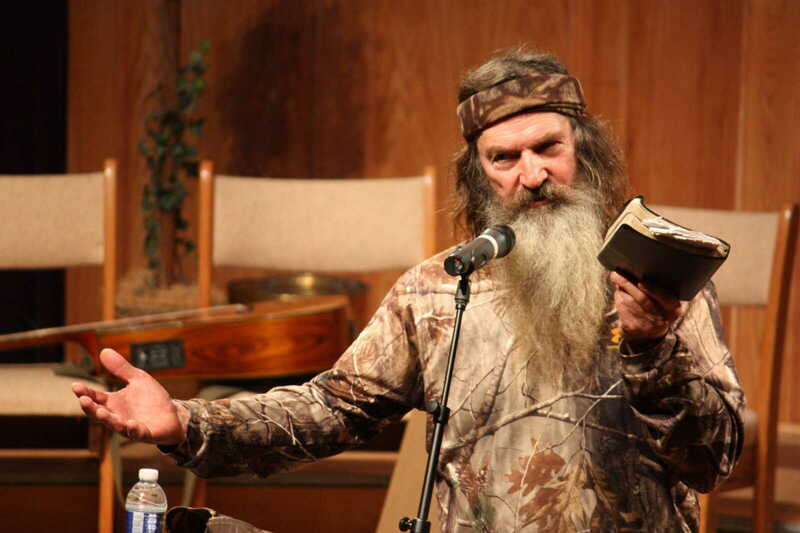 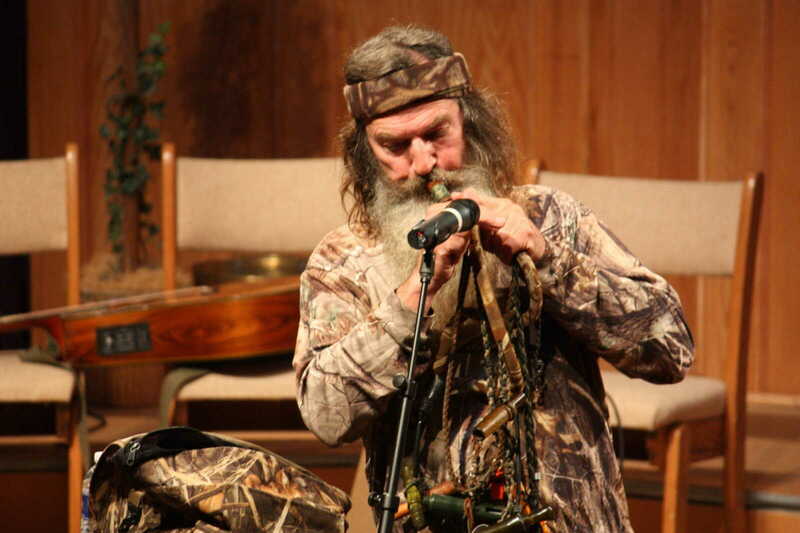 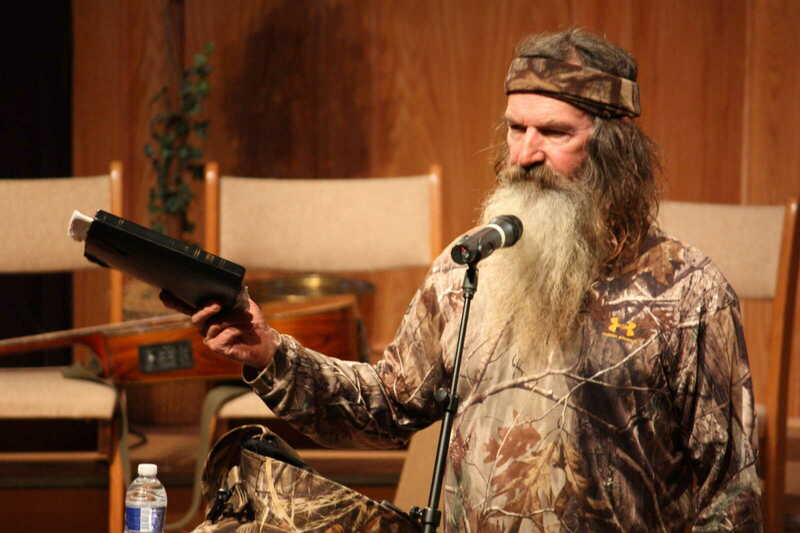 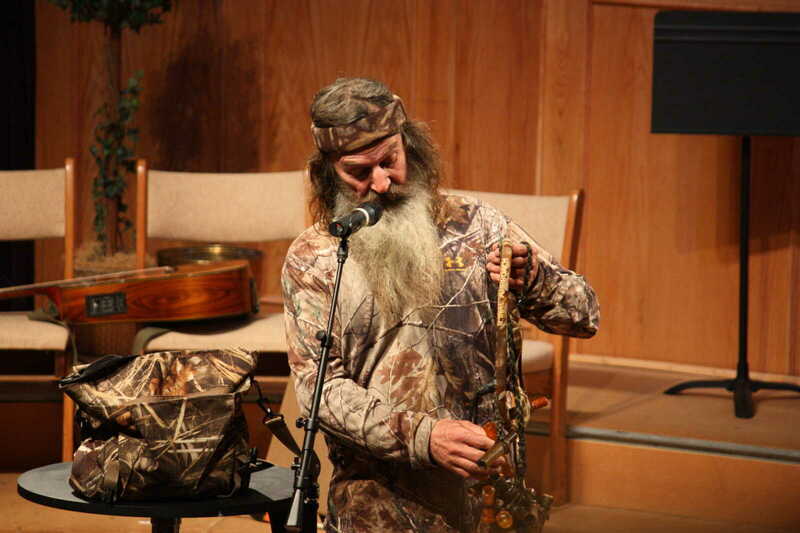 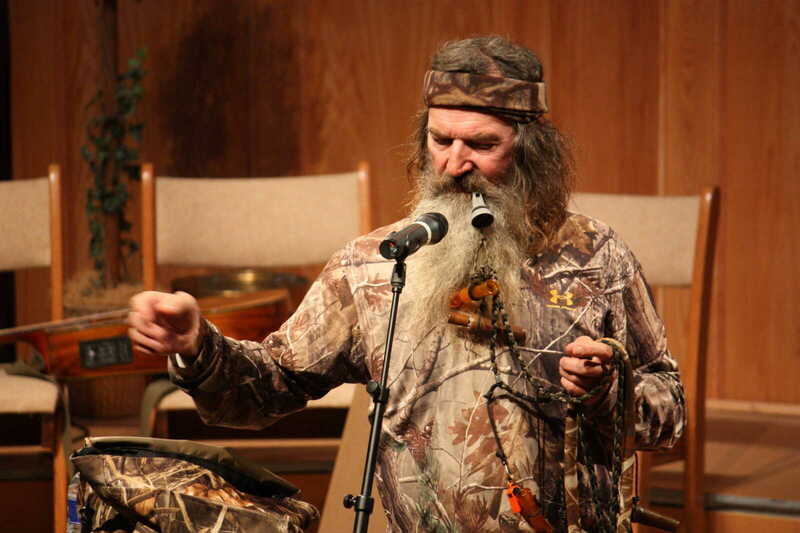 Sponsored by First Baptist Church, Louisiana's Duck Commander, Phil Robertson, entertained a packed auditorium of duck hunting enthusiasts and fans Feb. 17, 2012 following a wild game dinner in the church hall. 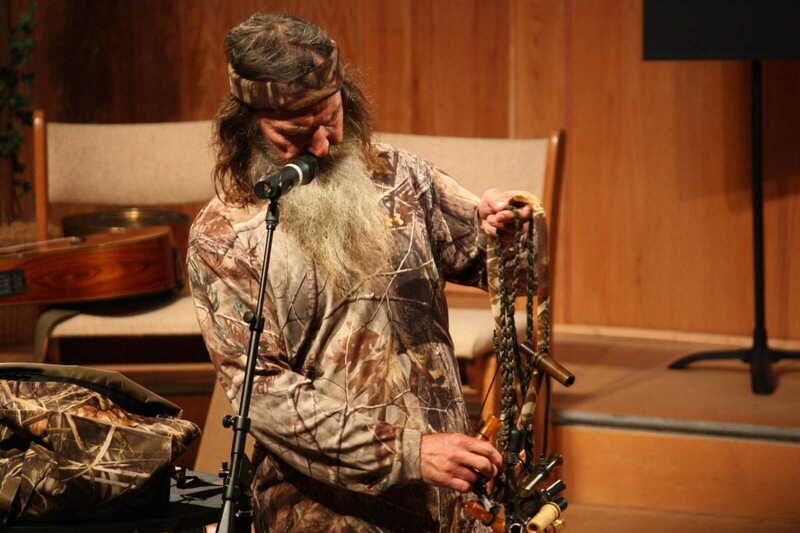 Robertson is renowned in the hunting world for not only the duck calls that bear his name, but also for his vision and unshakeable faith. 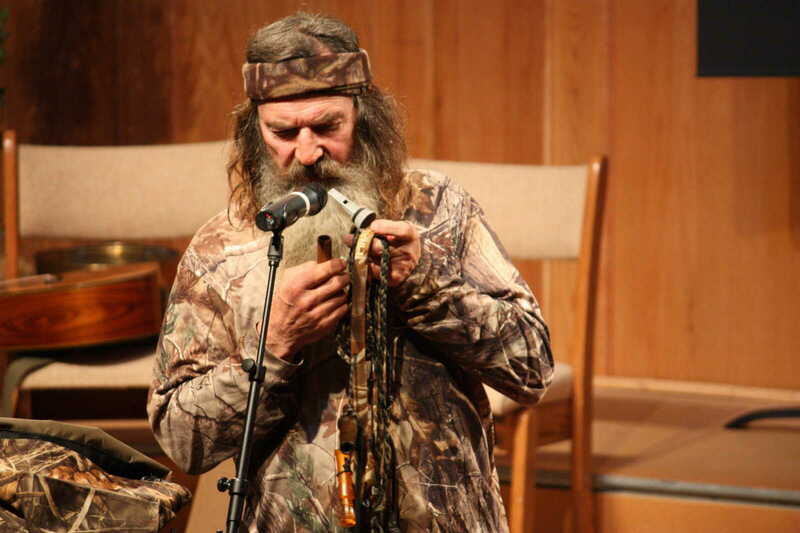 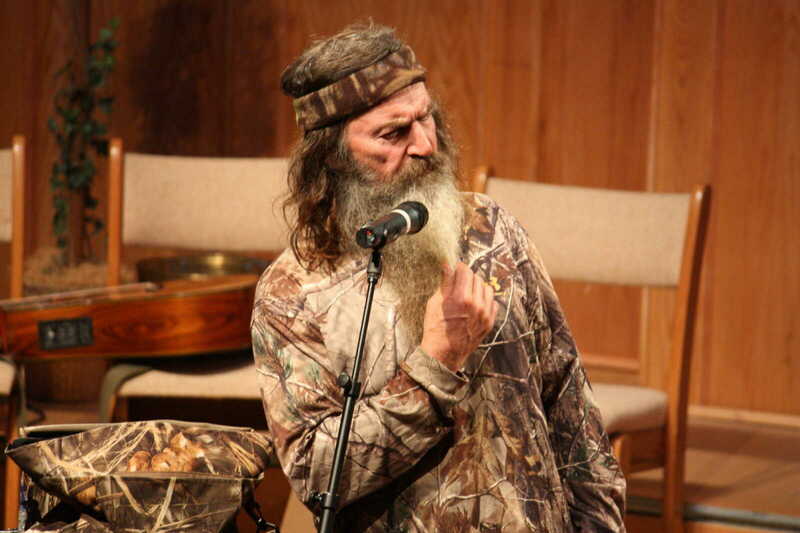 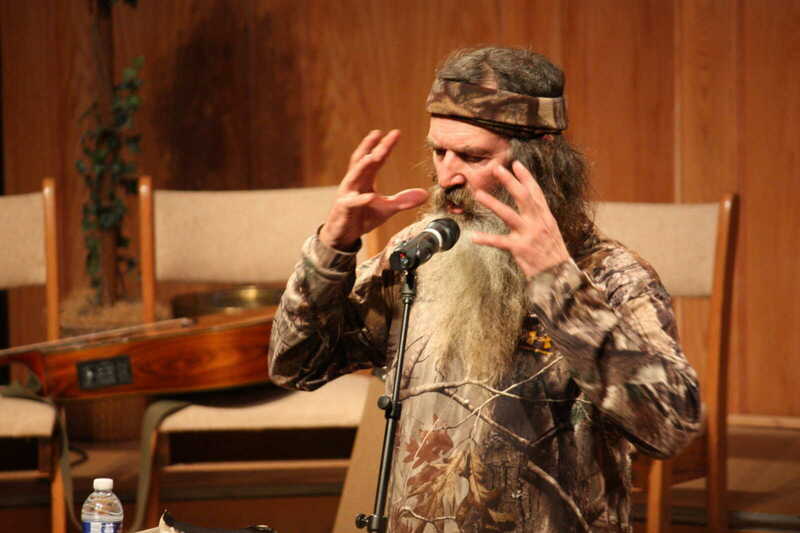 His audience in Dexter was served up plenty of "food for thought" as Robertson's passion for duck hunting, duck calling, and God, not in that order, were on display.